The second largest continent in the world, Africa exhibits tremendous biological diversity. The great arid deserts of Sudan, the lush Congo jungle and the nature rich cape region of South Africa all exist within the enormous continent. Africa is home to a number of flowering plants that have garnered popularity throughout the world for the beauty of their flowers. A member of the dogbane family, oleander (Nerium oleander) is a flowering evergreen shrub or small tree that reaches an average height of between 6 and 10 feet. A native of Northern Africa and Southeast Asia, oleander boasts long lance-shaped leaves accented by clusters of tubular flowers, which may be yellow, pink, white or red, depending on the cultivar. The shrub is a popular ornamental and may be used as a privacy screen, hedge or specimen plant. Oleander does best in full sunlight in USDA zones 8 to 11, though it will tolerate some shade. The plant is quite adaptable and will grow in wet or dry soils so long as they're well draining. Use caution with this plant in a household with children or pets, as the plant is toxic if ingested. A member of the mint family, lion's ear (Leonotus leonurus) is an upright perennial that reaches an average height of about 6 feet. A native of South Africa, lion's ear is notable for its bare stems and clusters of orange or red flowers, which are highly attractive to both birds and butterflies. Lion's ear is a versatile plant that works well as a border plant in a butterfly garden. The perennial will produce its best blooms in full sunlight in USDA zones 9 to 11. Lion's ear is quite drought tolerant and should be planted in a well-draining, rocky or sandy soil. Supplemental watering is not necessary. 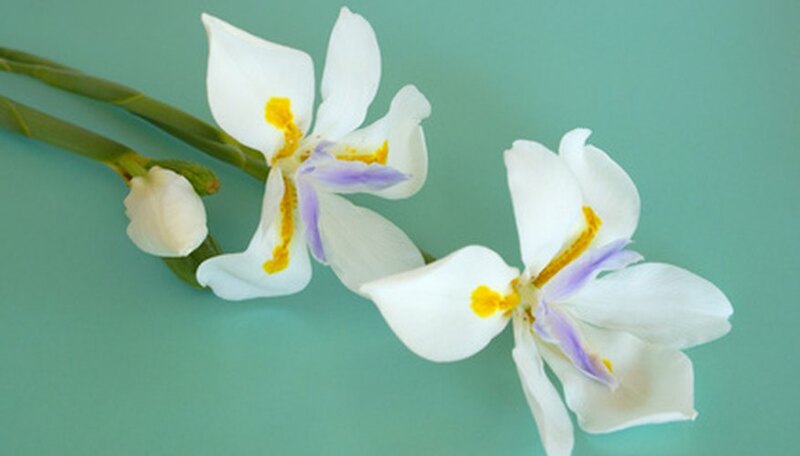 Also called fortnight iris, African iris (Dietes iridioides) is an upright flowering perennial native to Eastern Africa and South Africa. Reaching an average height of 2 to 4 feet, African iris produces thin, blade-like leaves and distinct looking three-petaled flowers that have a flattened appearance. The white, blue and yellow flowers of the plant appear in flushes every two weeks or so during the growing season. African iris is best suited to USDA zones 8 to 10. Though the plant will tolerate poor soils, a well-drained, moist soil is best. African iris prefers partial or dappled sunlight, rather than all day sun. Water frequently during the growing season, and withhold water during the winter.